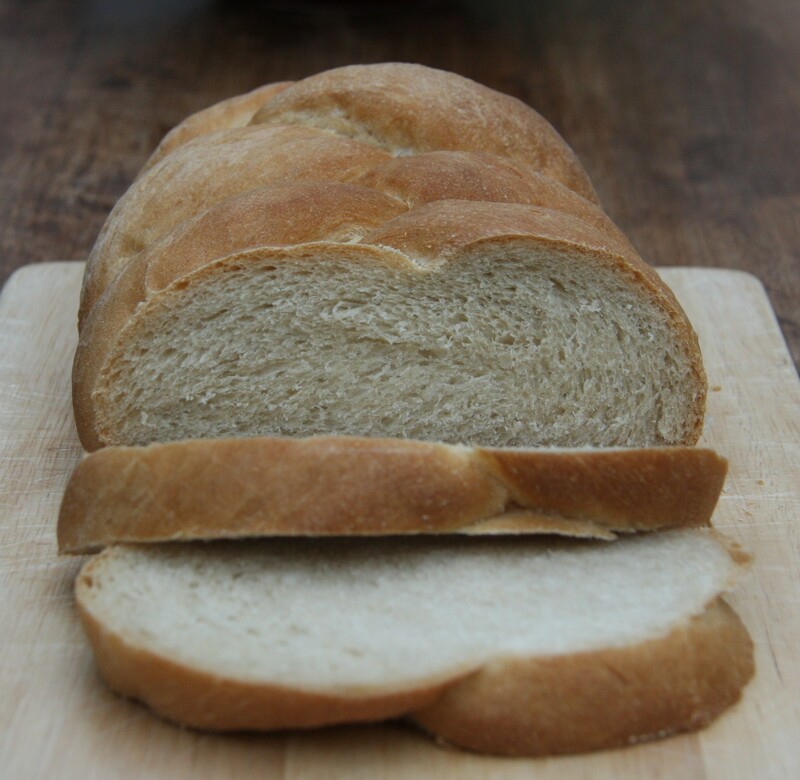 Home › Baking › Making a Plaited Wheatmeal Loaf and Walking the Wight – one is easier than it sounds! 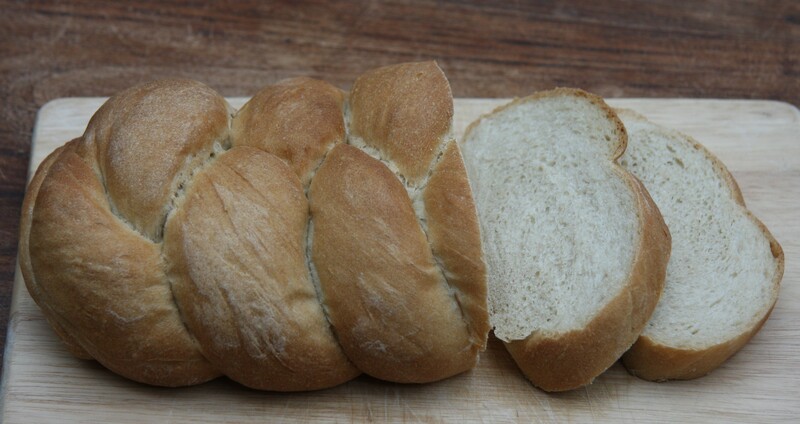 Making a Plaited Wheatmeal Loaf and Walking the Wight – one is easier than it sounds! 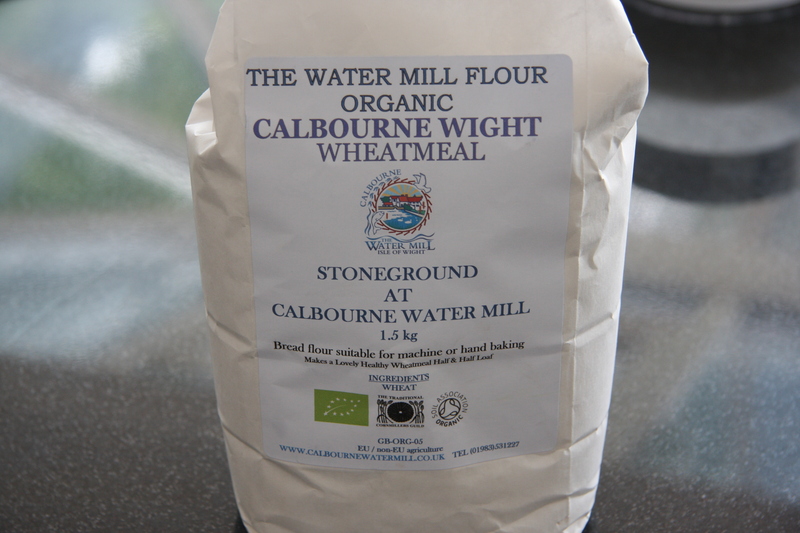 My mum brought me some wheatmeal flour from Calbourne Mill on the Isle of Wight, which is where I grew up and where my parents still live. I consider myself very fortunate to have grown up on a smallish island. You are never very far from the sea wherever you are. The pace of life is a little slower there and it always seemed a safe place to be. I love to take the kids back, particularly in the summer, but I don’t think they know how lucky they are! And for the past four years out of five I have done the 27 mile charity walk across the middle of the Island, up and down the Downs (hills, don’t know why they are called downs! ), through woods, farmers’ fields, a few villages, past Carisbrooke Castle where King Charles I was famously imprisoned in the 17th century. It is a beautiful walk with amazing views, if a little hard going at times. 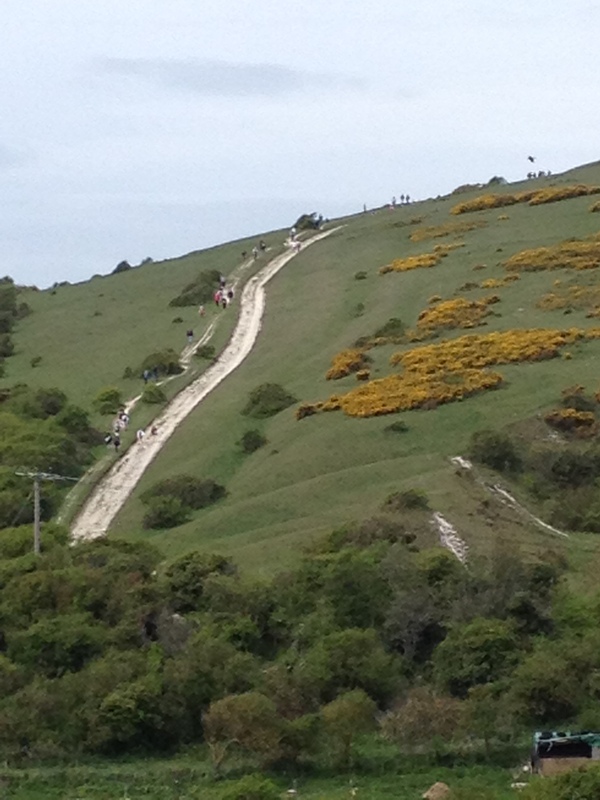 Walking the Wight – one of the many hills! It started out as a couple of families fundraising for the Earl Mountbatten Hospice, the only hospice on the Isle of Wight. Each year the event gets bigger, with around 12,000 people now participating in one of four walks in May. Each time I have done it I have vowed I’ll never do it again! I found this amazing video made by one walker in 2012 that captures the entire walk in one and a half minutes with time-lapse photography. It doesn’t give you much perspective on the ups and downs but it does give you an idea of the sorts of views, particularly towards the end of the walk. If you have a minute and a half, check it out! You could set out having done no training, wearing a pair of ballet pumps instead of proper walking boots or trainers, and there are always several teenage girls that do. It still amazes me and I always wonder how far they get. Them and the teenage boys in trainers with no laces. I imagine the answer is not very far! Although you only have to read Cheryl Strayed’s “Wild” to appreciate just how much can be achieved with the right amount of determination. She walked over a thousand miles of the Pacific Crest Trail in a brand new pair of boots that were too small for her. Walking long distances is one of those things that sounds a lot easier than it is. The proper training and preparation combined with the right gear really make a difference! 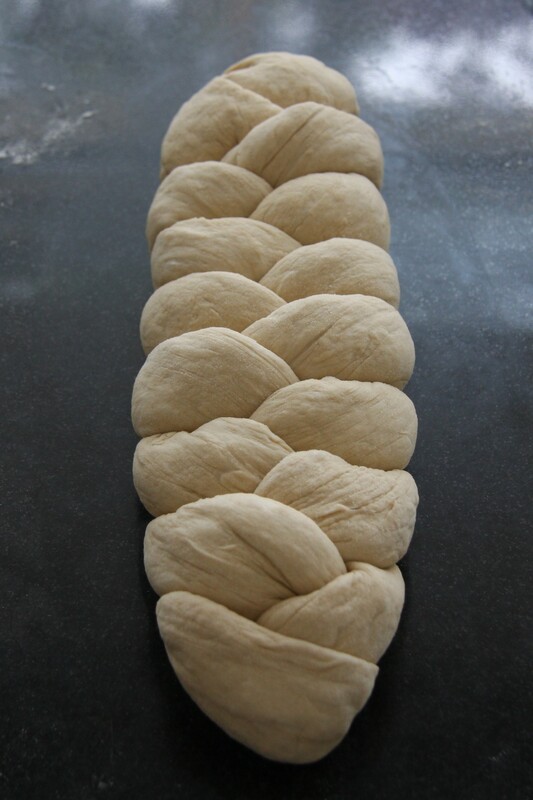 Making a plaited loaf, on the other hand, is easier than it looks, as I discovered the other day. I’m hoping it wasn’t just beginner’s luck. I had to look up wheatmeal flour when I opened the bag because I was expecting it to be like wholemeal flour. Instead it looked a lot like white flour. Essentially, wheatmeal flour is any brown flour that is not wholemeal (even though it doesn’t look very brown). So wheatmeal is less refined than white flour. And this flour was milled at Calbourne Water Mill, which dates back to the Domesday Book of 1086. Put the flour into a bowl and add the salt to one side and the yeast to the other. Add the water and the softened butter and mix to form a dough. Turn out onto a surface and knead for 5-10 minutes, until the dough is smooth and silky. Place in an oiled bowl and cover. Leave for at least an hour or until doubled in size. When the dough is ready, tip onto a lightly floured surface and knead briefly to knock out the air. Divide into three equal portions and make 3 sausage shapes. I weighed each piece to make sure they were equal. Once you have your three strands you need to squash the ends together so they are firmly anchored. 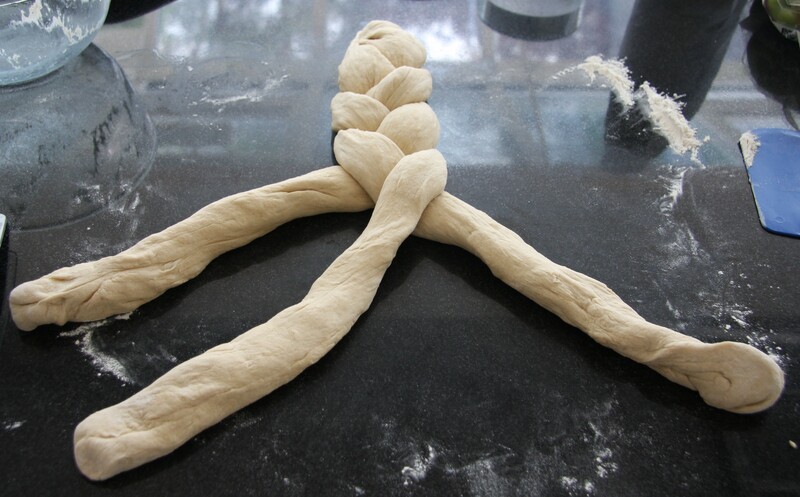 Then plait the dough, making sure it is quite firmly together – you may need to pull the end of each strand a little to tighten up the plait after each crossover. You can always practice on something beforehand to make sure you have the technique before you start: a child’s hair, some ribbon, whatever you have! When you get to the end you need to squash the ends together again, as neatly as possible. Transfer to a floured baking tray and leave again, covered, until doubled in size: at least 45 minutes. Heat the oven to 220ºC. When the oven is hot, bake the bread for around 30 minutes, until it is golden brown and sounds hollow when tapped underneath. Great for sandwiches if you’re planning a long walk! 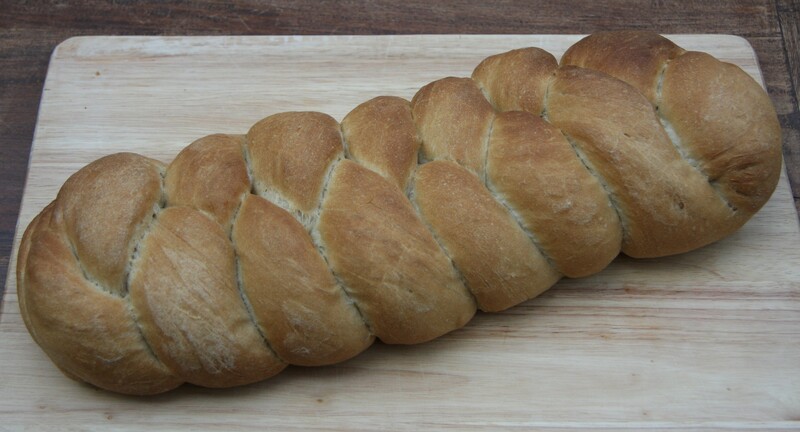 Your braid turned out beautiful! and the walk seems like quite the experience that I think I might enjoy! The bread looks like it turned out very well! Nice job! Thank you – I think I got lucky!